Combining market leading fees with uncompromised quality and service, we enjoy a renowned and trusted reputation for achieving exceptional results with an unrivalled level of customer satisfaction. Your home is your biggest asset and deserves the best, so a high degree of trust and quality of service should be the first consideration when it comes to selling. However, we also understand that moving can be an expensive process, and so value for money is an equally important factor when choosing your agent. 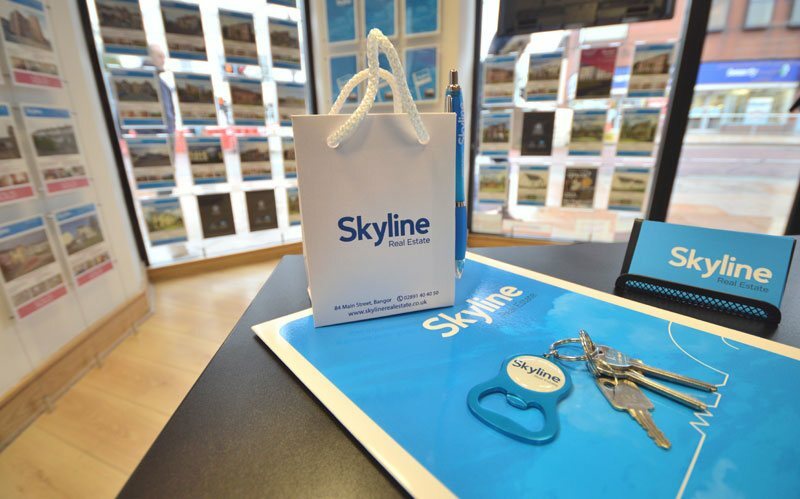 Thats why at Skyline we make your decision easy by offering the best of both worlds. All our properties benefit from a FREE LISTING so there is nothing to pay upfront, and we charge a market leading sale commission of just 0.75% (subject to VAT and a minimum fee of £995). For this we deliver a fully comprehensive premium quality service designed to achieve the best price for your home in a timely and stress free manner. Our experienced qualified staff will provide swift feedback and maintain regular communication throughout the entire process, guiding you all the way from initial listing right through to handing over the keys upon completion. And don't worry, although our fee structure competes with modern day 'On-line Only' estate agents offering a faceless no-frills service, we guarantee uncompromised quality with the reassurance and convenience of a busy Bangor Main Street branch where your brochure will be displayed and you can pop in for a coffee and a chat at any time. With Skyline, trust us, you're in good hands.